I'm so in awe when someone I know takes a big risk and starts something new. It doesn't matter if it's the start of a home-based business, a new job, a new hobby or founding a new company. There is a level of daring and determination that is very rare. This new year is full of new ventures that I'm excited to cheer on. First and foremost is the launch of my husband's shoe brands, Cords Footwear and Gigi Sandals. After working for action sports companies and leading their footwear teams for over a decade, now he's leading his own. It's something I've always known he could do, and he's doing it! I'm also rooting for Teforia, whose tea infuser could very well change the way tea lovers brew their tea. While coffee drinkers have had a wide variety of brewing options (percolators, the delightful French press, the homely drip machine, espresso machines and now the Keurig and its iterations), when it comes to brewing tea, our options are rather limited: tea kettle, metal or glass infusers, or maybe a gaiwan, if you're a Gong Fu fighter. Truth be told, I'm more than rooting for Teforia. I've been waiting on pins and needles for over a year to receive a Teforia tea infuser of my very own. I've been so geeky about it, I've had a place waiting for it in my home office. That table. Right there. In between my great grandmother's chairs. Finally, in the first week of December, Christmas came early. My infuser arrived! Unboxing and unwrapping each of the components was way more fun than it should have been, but I think it was the matter of anticipation. The set up was unexpectedly simple and straight-forward. I kept expecting there would be a hiccup of some kind, but there was no obstacle. I could get straight to the tea. Along with the infuser came a sampler box of Teforia teas. Each one hand selected, each one programmed into the infuser app's "Tea Pantry" for the perfect infusion. That's one of the most magical parts of the process. Brewing one of the Teforia teas in the infuser guarantees that you will experience that tea exactly as it was intended - the perfect temperature, the perfect length of steeping, the perfect first sip. For someone like me, who is a consummate over-steeper, this has been an amazing learning experience of what "good" tastes like. Now, my preferences being what they are, I'm looking forward to the next update of the app that will allow me to adjust the tea "recipes" to perhaps brew a little longer, a little shorter, etc. One of my first infusions was Velvet Rubies, an incredibly smooth black tea that, on my first sip, had the lightest hint of stone fruit with a touch of caramel at the end. I was happy to find that each packet of Teforia tea allows for 2 infusions, and of course I immediately brewed round 2 when round 1 was done. Building a new business, introducing something new to the marketplace is a huge challenge and a very personal commitment. I'm excited to watch these ventures and others that I see popping up around me. Who or what are you cheering for this year? It's interesting, being back in my home town after 16 years away. In some ways life is very different, but in many ways life is very much the same. Work routines, school routines, even the neighborhood- kids-playing-outside routine. But there are differences. We miss our old friends. The ones we've known forever, the ones we met through work, the ones we met through our kids, the ones who quickly shifted from "just" neighbors to people we spent most weekends with, the ones we took family weekend getaways with. They are what we miss most. They are gold. Pure gold. And yet, we realize how blessed we are to have these stashes of gold in California, but also here. In just a couple of short months, we've had a chance encounter with an old high school friend that resulted in a backyard BBQ, hookups on the best soccer coach in town, and ski lessons. I've also reconnected with a childhood friend that has so far produced lunch dates, family BBQs, and laughing so hard that my stomach muscles hurt the next day. I'm full of gratitude for the people who have enriched our lives over the years, no matter where we live, and that extends to the people I've met through tea, as well. I've been so pleasantly surprised with some housewarming packages that have arrived on my new door step. The first, which actually made me tear up just a little bit, was from my friends at American Tea Room. "Happy Idaho! Enjoy!" exclaimed the handwritten note. It never ceases to amaze me, the power of a thoughtful, personalized gift. And in the package, David Barenholtz, the owner and my long time friend and tea mentor, surprised me with two signature pressings of puer. Yongde Wild Arbor from 2013 and Sun-dried Silver Tips from 2015. Both from the Yunnan Province of China. Both, limited edition and a new experience for me. It is David who has pushed my palate to explore Japanese greens and oolongs, and it is he who opened my eyes to how tea can be more than something to be enjoyed with sugar cubes and scones. It can be enjoyed in its own right. His tea rooms - now 3 locations - give tea an elegance and elevation in ways I would have never imagined, while still making them excessively accessible. Perhaps he knew that I was lagging in my pursuit of new tea exploration. My friends in the Tea Bloggers Roundtable have been exploring and enjoying puer for quite some time, with highly formed opinions. I have none. Until now. Once more, I have been given a gift in the form of adventure. I broke off a piece of the Yongde Wild Arbor. The scent is reminiscent of horses - leather and hay. I steeped the tea for the recommended 5 minutes and then it was time for the first sip. Full bodied and rich, there is a maltiness that lingers. Hints of caramel made brief appearances. This is something I need to get to understand more. Pure gold. I am enjoying meeting new people in my new/old home town. Their helpfulness and recommendations have led me to a new hair stylist (hooray! ), insider info on schools and the scoop on local grocery stores. They have been precious discoveries. True silver. Who knows what this year will bring. One thing is for sure, though. We'll be exploring puer together. It's time to get to know this treasure. Who knows the amount of silver and gold I'll discover along the way. 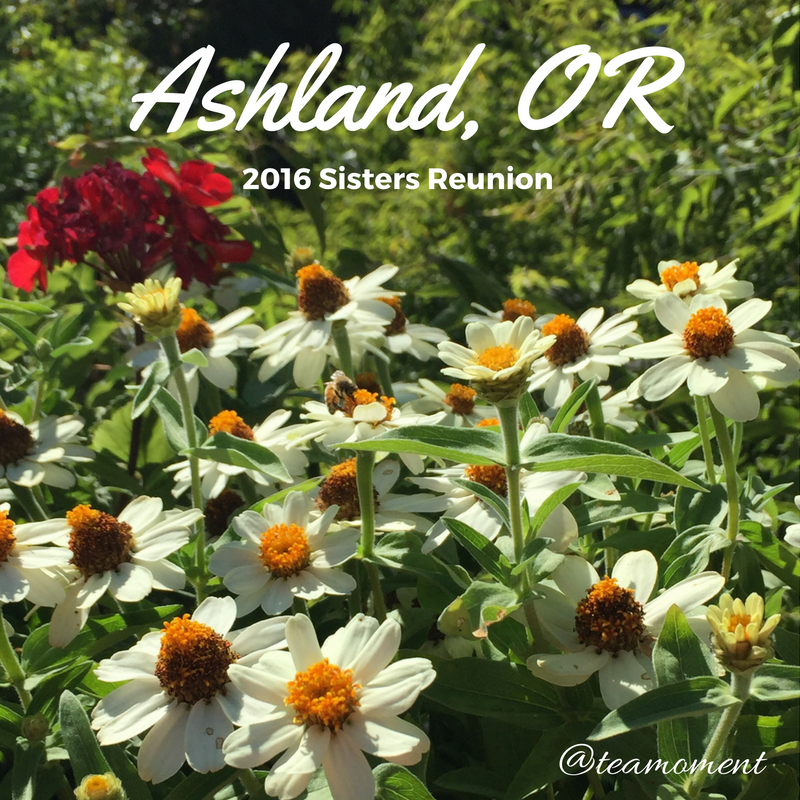 It's Sisters Reunion time. One of my favorite times of the year. Or rather, of every 2 years. 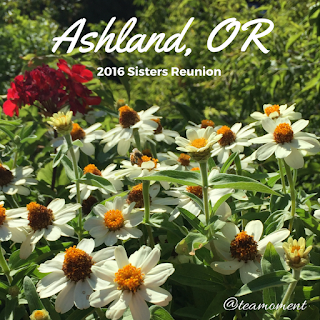 It's around this time that my mom and her sisters gather with their own daughters, daughters-in-law and granddaughters to spend a weekend together in the beautiful town of Ashland. It's the first time I've seen many of these women in 2 years. 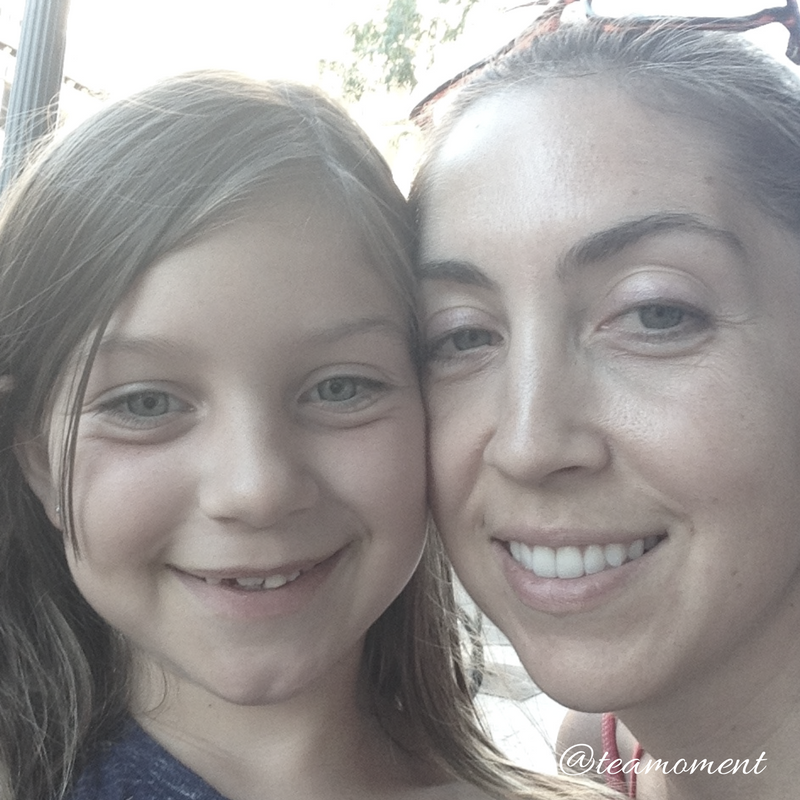 More important, it's the first time my oldest daughter, Edie, got to come along. It was a very good weekend. Our gathering continues to grow, as the 3rd generation is being allowed to join in the fun. I loved introducing Edie to these women who I have loved and admired my entire life. They've seen her as a baby at weddings and funerals, but this is the first time they've seen her as a young lady. Seeing them ask her questions and play games with her and show her what a special and unequivocal member of the extended family she is made my heart swell. This is part of your story. This is part of who you are. These songs are ingrained in your soul. This laughter is your birthright. This wisdom is your future. The majority of this reunion consists of talking and laughing, catching up on good news, mourning the losses and disappointments that occurred since last we met. Any schedule we have revolves around the second most important activity of the reunion: eating. And an afternoon tea. Of course. The tea was a special treat I actually DID remember to pack. 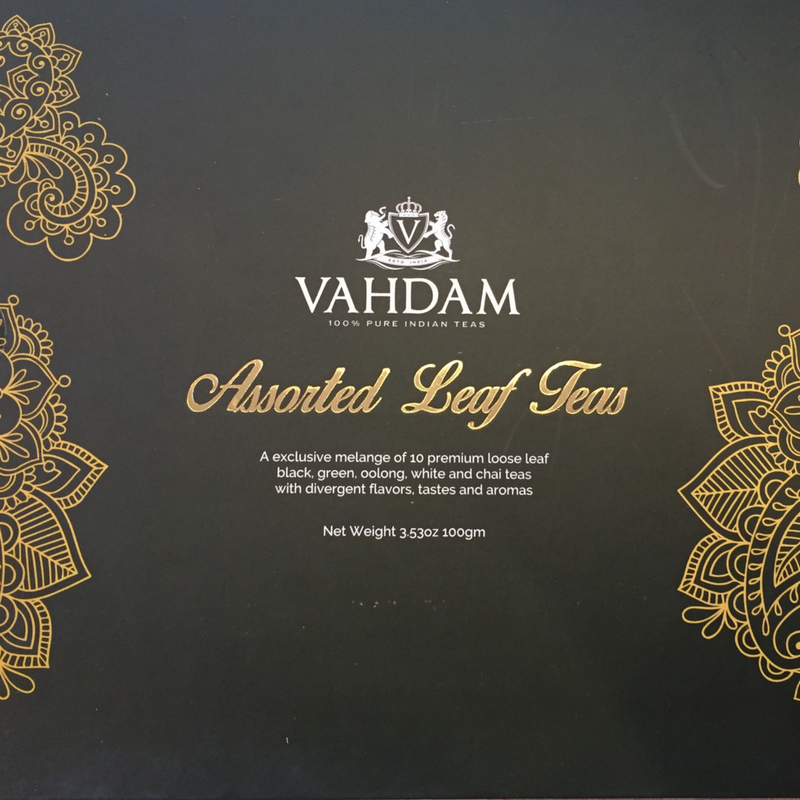 A collection from Vahdam Teas. 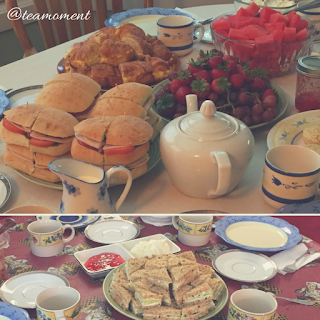 There were so many options, we had a hard time deciding on which would accompany Afternoon Tea. 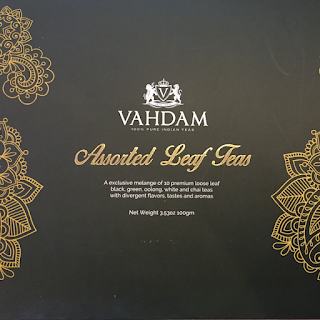 We finally decided on the Avaata Supreme Virgin Nilgiri Organic Spring Green Tea (try saying that 5 times fast! ), which my oldest niece absolutely fell in love with! Light, refreshing - an earthy green rather than a seaweed green. 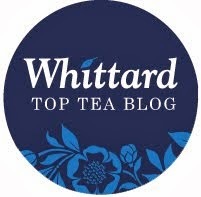 We also chose the Malty Earl Grey, which many of us loved dressing up with milk and sugar (cubes, of course!). After tea, there was singing. My mother's family was born and bred in music, and I soaked in the familiar tones and harmonies of my aunts echoing in the voices of my cousins. There is a raw richness in timbre that is signature Cunningham, a legacy that I had never considered before but am now so thankful for. Edie watched, listened, and sang along, her sweet voice mixing perfectly with the rest. She is one of us, after all. The last night was capped off by a trip to the renowned Oregon Shakespeare Festival to see Hamlet in the theatre under the stars. Infused with modern touches of death metal, the production was hands down the best I've seen. While I much prefer comedies, this play's THE thing. Another Ashland reunion, another weekend of family and laughter. 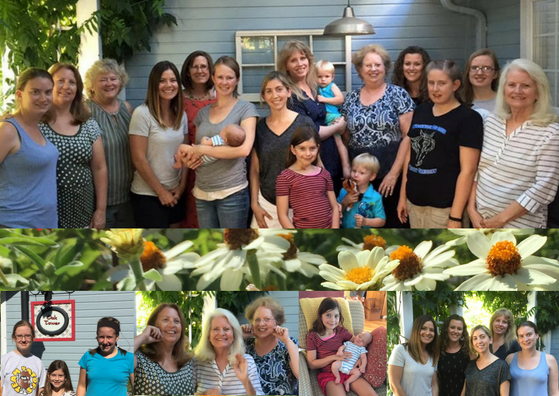 I'm so blessed to have such a rare opportunity to spend time with my Mom, her sisters, my sister-in-law, my nieces, my cousins, their children and, now, my daughter! A house of girls, a house of wisdom, a house of music, a house of love. When it comes to perfect moments, this one rises to the top. My first run back in Boise, and the sensory overload was instant. The squirrels noisily playing chase in the tree tops, the damp, earthy smell of the river, sparrows, robins, and the cottonwood, which immediately tickled the back of my throat, the intense summer sun. Sixteen and a half years ago, as newlyweds, we packed up both of our cars with all of our earthly possessions and drove to Orange County, California - worlds away from our home town of Boise, Idaho. "Les Bois," as the French Canadian fur trappers exclaimed when they made their way over the desert foothills and laid eyes on the wooded valley. 16 years, 2 daughters, and one giant U-haul later, we've come back. Maybe for a year, maybe more. But here we are. 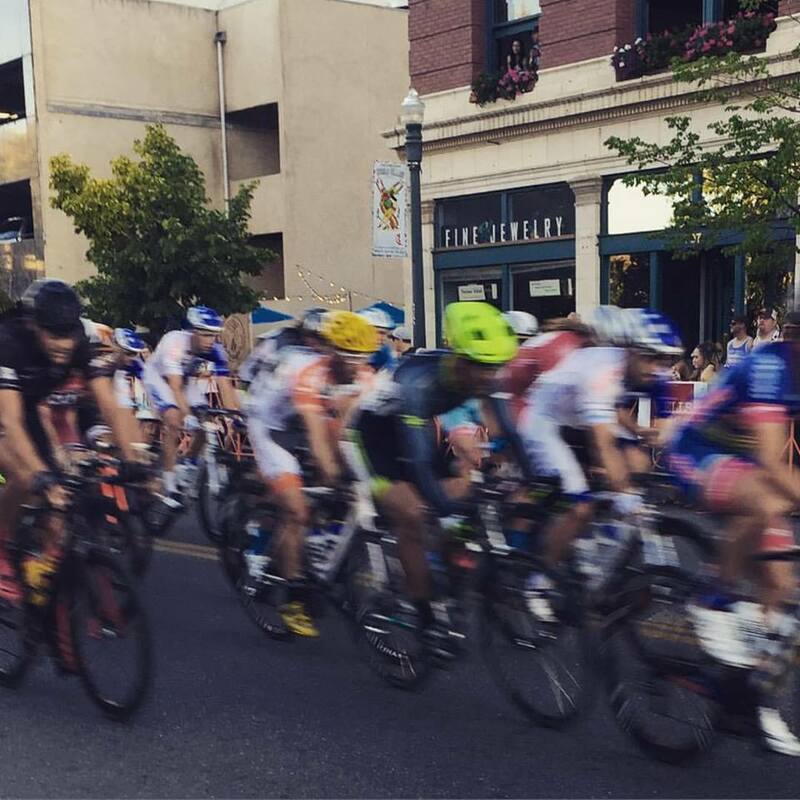 Already we've immersed ourselves in traditional Boise summer activities. The 30th Boise Twilight Criterium, an annual cycling race that takes place in the streets of downtown Boise, culminates with the final Pro Men's race riding laps at tremendous speeds for 90 minutes. 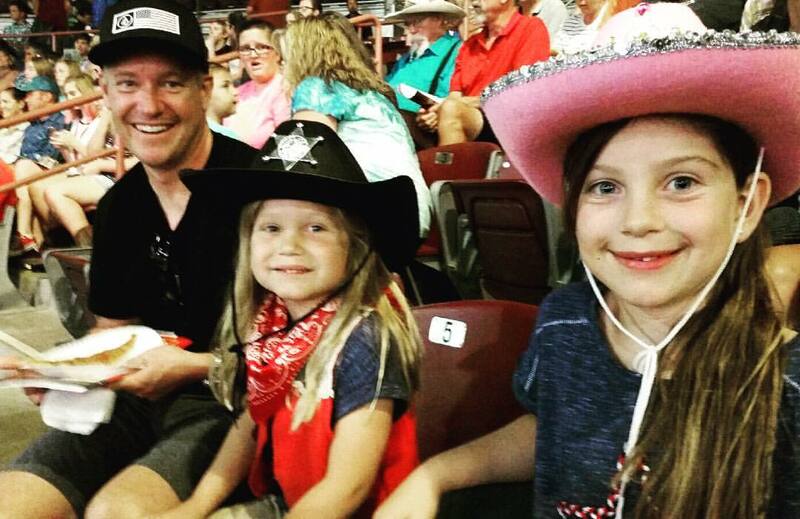 We also made our way to the 101st Snake River Stampede, one of the top 10 rodeos in the Professional Rodeo Cowboys Association. Top country performers have participated in the stampede over the years, starting with Gene Autry in 1950, Dale Evans and Roy Rogers, and (little known fact) this is where Reba McIntire (a former barrel racer) made her debut performance! 101st Snake River Stampede. Thanks for the hats, Aunt Rita! Family bike rides on the greenbelt alongside the Boise River, a family reunion gathering and bocce ball championship at Julia Davis Park, an evening out at BarDeNay in the Basque District. To cap off our initial weeks, I met up with one of my oldest Boise friends for lunch. It's been 8 years since we've seen each other, and it was like we saw each other last week. Funny coincidence, the place we chose for lunch, The Hyde House, was once a tea house that supplied all of the tea for my wedding favors 17 years ago. This friend, by the way, was in my wedding. The Hyde House. Watermelon Gazpacho? Yes, please! There are so many memories and histories that are flooding back, as we settle in. While we miss our friends and familiar stomping grounds in Orange County, there are special moments that are beginning to make it feel like our home. One moment in particular was the arrival of a housewarming gift from my friend Alex at Nelson's Tea. She knows my love of black tea blends, so I've been enjoying the morning with what I view as the perfect summer blend, Summer Sol Ambrosia. With hints of fruit and safflower, there's the perfect balance of malt and sunshine. I've also been indulging in Honey Pear, which has just the lightest essence of pear and sweetness. These are the perfect accompaniments for my morning view on my back porch. There are those friends with whom you can pick up where you left off no matter how many days or years have separated you. And there are those places which will always give the same feeling of leisure and comfort no matter how much time has passed since a last visit. 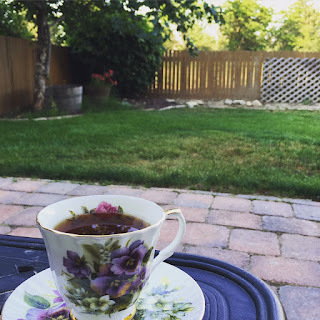 Today, as I'm sitting over a thousand miles away from The Tea House on Los Rios, I'm thinking about how today would be a perfect day to sit on the covered, wrap-around porch and share afternoon tea with a friend. Queen Catherine blend, of course. The 2016 Tea Blogger Directory, which was released at the World Tea Expo is now available to all! In this updated directory, discover more than 60 tea-focused bloggers from around the world who have as unique backgrounds and stories as you do. Each blogger has an extensive and focused reach to help grow your potential audience. With bloggers being in the Top 3 Influencers for online shoppers, this is a resource retailers can’t afford to ignore. 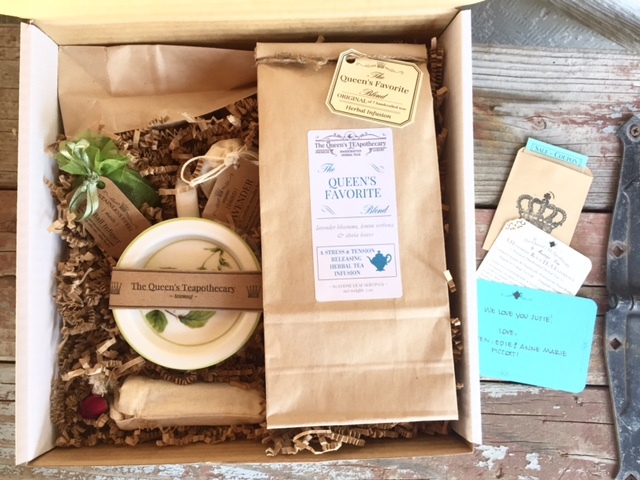 Learn the best practices for collaborating with a tea blogger, how many samples might be "too many," the do's and don't's of asking for a review, the importance of packaging, and how to help a tea blogger showcase your tea or tea-related product in the best possible light. All this for $5 through the 4th of July. After that, the price goes up to $10 per download. $1 from each download will go to support The Tea Bloggers Roundtable, who provides support, education and consulting to tea retailers and regional tea festivals. Download your copy HERE. 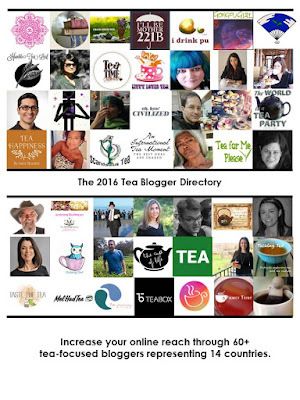 Thank you to all the Tea Bloggers who participated in this year's directory!